Justin Sellers is out, Juan Uribe in for series finale against Giants. One day after his two-error performance against the San Francisco Giants, Justin Sellers will sit and Luis Cruz will play shortstop in Wednesday’s series finale against Tim Lincecum. 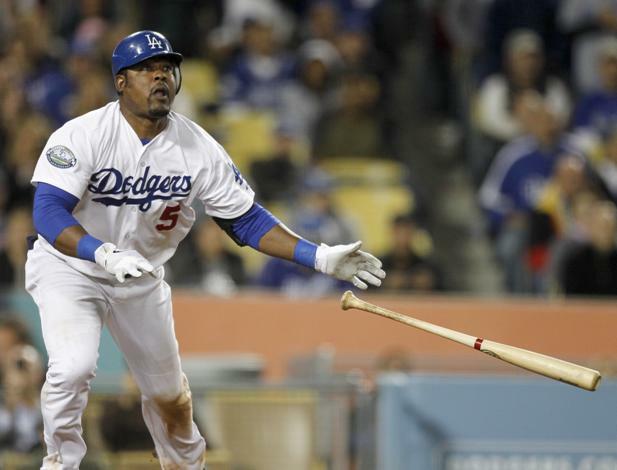 Juan Uribe will play third base, making his first start since August 14 of last year. Cruz had played third base in the first two games of the season. Sellers, a last-minute addition to the 25-man roster in spring training, had only made two errors in 29 career games at shortstop before Tuesday. In the seventh inning of the Dodgers’ 3-0 loss, he made a pair of throwing miscues that led to two unearned runs. It didn’t technically make the difference in the game — the Giants already led 1-0 — but benching Sellers one day after the blunders could be more than coincidence. Of course, it could also be in response to the Dodgers’ almost total lack of offensive production in their first two games of the season against the Giants. They’re 9 for 59 (.153) in the two games. While Uribe hasn’t been an offensive threat since he came to Los Angeles two years ago, he batted .333/.358/.451 in spring training — possibly saving his spot on the 40-man roster. 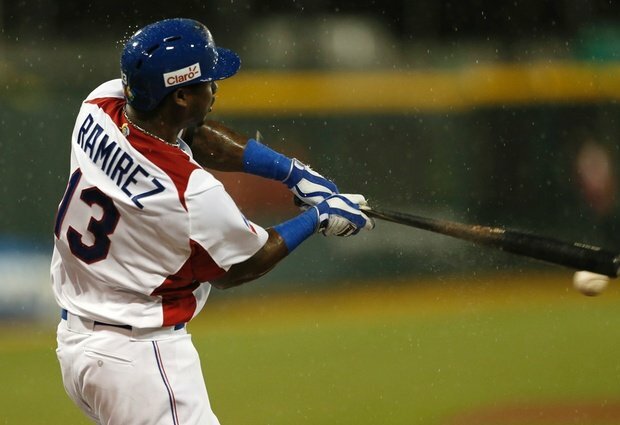 Today, Uribe gets his first shot to show that his spring was no fluke. Uribe will bat seventh and Cruz sixth against Lincecum. Dodgers lose Hanley Ramirez for eight weeks with thumb injury. Dodgers shortstop Hanley Ramirez will have surgery to repair torn ligaments in his right thumb Friday in Los Angeles, the team announced. 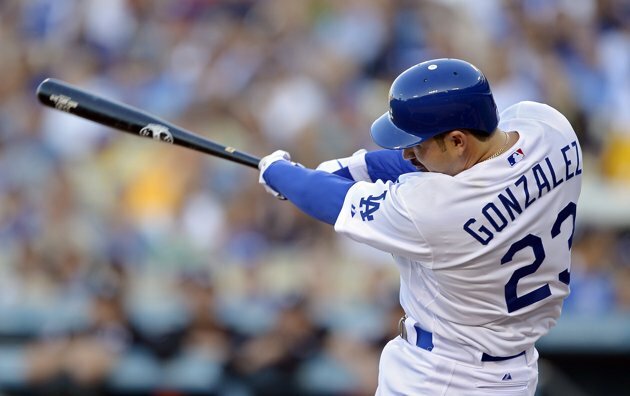 He is expected to miss eight weeks, which projects to May 17, the Dodgers’ 39th game of the season. Dr. Steve Shin, a sports medicine hand specialist at Kerlan Jobe, will perform the surgery. Ramirez will have his thumb immobilized for 3 weeks. Poll: Who should be the Dodgers’ Opening Day shortstop? With today’s injury news about Hanley Ramirez, the Dodgers must decide who will take his place at shortstop on Opening Day — and beyond. Who should it be? Who should be the Dodgers’ Opening Day shortstop? Dodgers reassign Jesus Flores; option Shawn Tolleson, Justin Sellers to minors. The Dodgers shed a third catcher from their camp roster in as many days Tuesday by re-assigning Jesus Flores to the minors. That effectively hands the backup backstop’s job to Tim Federowicz. Federowicz was the front-runner to be the number-two behind A.J. Ellis, but not a shoo-in when the Dodgers invited four more experienced catchers — Flores, Ramon Castro, Wilkin Castillo and Eliezer Alfonzo — as non-roster invitees. Alfonzo never reported to camp. Castro and Flores never hit. Castillo did (.333/.333/.389) but it wasn’t enough to unseat Federowicz, a 24-year-old who has never been on an Opening Day roster. The bullpen picture became more clear when Shawn Tolleson was optioned to the Dodgers’ minor-league camp. The 25-year-old right-hander only allowed one run in seven appearances, but the team appears intent on giving a bullpen job to a more experienced righty such as Peter Moylan, Mark Lowe or Kevin Gregg, or rookie Josh Wall. The 34-year-old Gregg, who’s allowed two hits and no runs in six appearances, looks like the front-runner among that group. Left-hander Paco Rodriguez also remains in camp. Justin Sellers was the third camp casualty Tuesday. The infielder was optioned to the minor-league camp after batting .150/.150/.190, with 3 hits and no walks in 21 plate appearances. The major-league camp roster is down to 40 players. Dodgers spring training preview: Infielders. First baseman Adrian Gonzalez is about as close as it gets to a sure thing here – on the field, in the community, in the clubhouse. Second baseman Mark Ellis is aging but consistent. Then the questions begin. Who will back him up? Can Hanley Ramirez’s glove be trusted at shortstop or at third base? What happens to Dee Gordon? What is Juan Uribe doing here?